For over 70 years the Ederer family has established a tradition of serving the real estate and construction needs of families and individuals in the Greater Akron area. In November 1936, William J. “Bill” Ederer entered the real estate business “confident there is going to be an active revival” He founded Ederer Realty and sold existing and newly constructed single family homes in the rapidly growing west side neighborhoods of Akron. His son Alan, the current owner and president of Ederer Real Estate, joined the brokerage thereafter and business flourished. 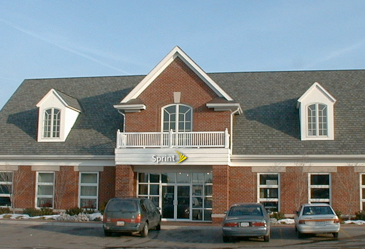 In the 1960’s the company shifted toward development activity in Northern Ohio, concentrating on neighborhood retail, restaurants, and other commercial real estate activity. In 1986, Alan’s son, Todd joined the firm to work on leasing, property management, and development. Activity expanded to include condominiums and apartments. In 1997 construction operations were brought in-house with the formation of Ederer Construction, Inc. In the last dozen years, Todd Ederer has concentrated on commercial and residential construction. Looking forward, Ederer Real Estate and Construction plans include distinctive project based residential, commercial and mixed use opportunities. Quality and workmanship are the mainstays of any successful construction company. Ederer Construction takes this seriously with a mindset of continuous improvement. First is study, evaluation, and proper utilization of building products, technology, and techniques to construct efficient and durable homes. Foundation and above grade exterior wall assemblies are primary components of interest as they are the barriers between inside and outside elements. Second is emphasis on livability of indoor and outdoor space. Our selected team of design professionals understand this and strive to find that perfect balance “right size” home to suite your lifestyle. 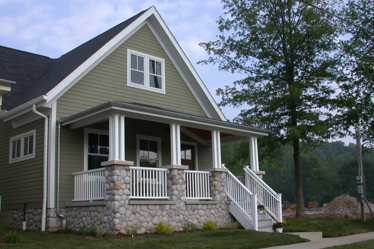 The mission of Ederer Construction, Inc. is to deliver customer satisfaction on a sustainable basis. Our customers can expect project realization on time and on budget. Additionally, we will recommend and implement best practices for efficient, healthy, and economical improvements to fulfill our customers’ long term visions. Customer satisfaction is top priority. We always think how the customer will perceive, react, and appreciate what we do. We take excellent care of our customers and value their recommendation of our services to their family, friends and colleagues. Our customers will know what the job will cost and when will it be done. They have plans, deadlines, and budgets. Our customers place a tremendous amount of faith and confidence in us. We respect that trust by working diligently for their best interest. We continue to improve our implementation. We are always willing to learn how to do things better within our individual spheres of influence. With this mindset we achieve this mission.